Professor of Horticulture and Plant Biotechnology, Founding Director, Robert H. Smith Institute of Plant Sciences and Genetics in Agriculture, Hebrew University of Jerusalem. 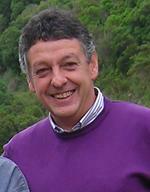 Past President, International Association of Plant Biotechnology (1994-1998). Former Director, the Otto Warburg Center of Biotechnology in Agriculture(1992-1998). Member, Israel National Committee for Biotechnology 1997-2001, 2003-2010. Research interests: Molecular control of plant response to drought and salinity tolerance, Agricultural biotechnology, Forest tree biotechnology, Plant biology. Ana Cristina da Silva Figueiredo is Professora Auxiliar com Agregação at the Department of Plant Biology, of the Faculty of Sciences of the Lisbon University (FCUL) and researcher at the Center for Plant Biotechnology (CBV), from the Associate Laboratory Institute for Biotechnology and Bioengineering (IBB). As lecturer at FCUL she teaches several Biology-related courses and is, or was, responsible for the supervision of internships, Masters and fellows of scientific research. 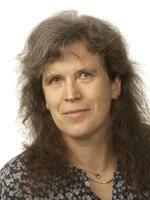 She also supervises, or co-supervises, PhD students and co-authors pedagogical publications. The scientific research is mainly focused on plant biotechnology, phytochemistry, cell biology, plant secretion and botany. She is researcher or coordinator of national and international projects. 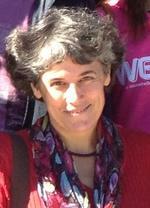 Her CV includes the presentation of posters and oral communications at national and international scientific meetings. She co-authored 37 articles in proceedings, co-published 3 books, co-authored 6 book chapters and 115 publications in national and international journals with peer review. 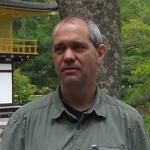 Professor at Ghent University, Department of Plant Production, and leads since 2005 the Research unit “In vitro Biotechnology and Horticulture”. 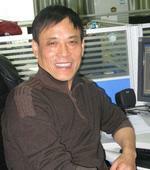 He is interested in developing novel approaches in the field of plant reproduction. The in vitro propagation of plants is largely dependent on the capacity to make shoots and root. Adventitious shoot and root formation is typically stimulated by applications of the plant hormones. Recent progress in plant hormone signaling shows that multiple of hormone-protein interactions take place, which have their own binding specificities. One of the goals of his research is to tweak the signaling processes by implementing novel hormone analogs. A second interest of the lab is to develop tools for breeding, double haploid production, and engineering of reproduction via clonal seed (apomixis). 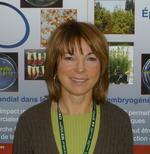 During the course of her appointment as Research Scientist at the Canadian Forest Service, Dr. K. Klimaszewska has focused her research on the development of protocols and understanding of conifer somatic embryogenesis. Her research led to a discovery that pine somatic embryo development is critically affected by water availability from a medium to the embryogenic tissues during maturation and was patented in 2001 (Klimaszewska et al. US patent 6,200,809). In parallel she investigated how different maturation treatments affected accumulation of storage proteins in somatic embryos, an important factor in order to deliver planting stock of high quality. Recently, she has developed a method to achieve somatic embryogenesis in adult white spruce trees from primordial shoots and regenerated somatic seedlings, hence providing the first ever evidence that a mature conifer can be rejuvenated. Diploma in Biology, PhD in Plant Biotechnology (1993) by Faculdade Ciências of Universidade de Lisboa (FCUL) and is “Professor Agregado” since 2001. Since 2008 she is Associate Professor with “Agregação”, at Instituto de Tecnologia Química e Biológica of Universidade Nova de Lisboa (ITQB-UNL), where she directs the Laboratory of Genomics of Plant Stress (GPlantS). Since 2008 she is Director of the Plant Genomics Infrastructural area of Instituto de Biologia Experimental e Tecnológica (IBET) and since March 2011 she is Vice-Director of ITQB. For 23 years she was Professor at FCUL (Dept. Plant Biology) where she was teaching several disciplines for Diploma, Master and PhD degrees in the areas of Cell Biology, Biology of Plant Secretion and Plant Biotechnology. She is particularly interested in the molecular study of the mechanisms that regulate plant development and plant adaptation to the environment, and in the improvement of plants with national interest. She has been organizing several national and international meetings, congresses and seminars, as well as courses and training periods for national and foreign students. She has been invited to present lectures at national and international level in specialized congresses and in national meetings for science divulgation. She has been involved in (or coordinated) several projects funded by national and international projects and is deeply committed to the national initiative CorkOak ESTs Consortium. 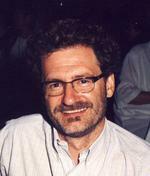 Dr Maurizio Lambardi is a senior scientist and project leader of the National Research Council (CNR) of Italy, at the Trees and Timber Institute (IVALSA) of Florence, Italy. He is presently the Chair of the ISHS Commission ‘Molecular Biology and In Vitro Culture’, the Society for Low Temperature Biology (SLTB), and the Italian Working Group on ‘Micropropagation and In Vitro Technologies’, as part of the Italian Society of Horticulture (SOI). He has wide-range expertise on plant biotechnology and in vitro culture systems, with particular emphasis to the development of innovative approaches of micropropagation, in vitro conservation (slow growth storage) and cryopreservation of plant germplasm. He is member of the Editorial Board of the ISI Journals ‘CryoLetters’ and ‘Propagation of Ornamental Plants’. University in Vienna, Austria. From 1999 to 2003, Wang studied as a Ph. D student, with a major of plant biotechnology, in Department of Plant Protection in Hebrew University of Israel. He obtained his Ph D, with a thesis titled as “Cryopreservation of grapevine (Vitis viniferaL.) and its potential application to grapevine virus eradication and grapevine genetic transformation”. After then continued his post-doctoral study for a period of 10 months on embryogenesis and genetic transformation of rose (Rosa chinensis) in Department of Plant Science of Hebrew University of Israel. Wang major interests and contributions are in (1) studies, as a pioneer, on cryotherapy of shoot tips for plant pathogen eradication; (2) extension of cryogenic techniques to plant genetic transformation; and (3) development of novel, simple cryopreservation techniques for long-term preservation of genetic resources of horticultural crops. Since 1988, Dr. Wang has, as either the first author or the corresponding author, published more than 60 papers in SCI journals, of which one published in Trends in Plant Science and two in Biotechnology Advances were Dr. Wang’s the major contributions. Professor of Floriculture and Translational Plant Science at Copenhagen University, Denmark. She combines a strong horticultural background from industries with a scientific focus on ornamental plants. She holds a PhD in Horticultural Science and a DSc in Plant Sciences. Since 15 years, Renate Müller’s research explores genetic and physiological factors, which determine plant quality. Her research is strengthened by her international network and many cooperation projects involve industrial partners. Potted plants are often produced with a high input of resources. Especially for ornamental plants there is an urgent need to find alternatives to chemical growth regulators and environmentally friendly production methods. Many years of research in this area have provided a good foundation for the development of biotechnological technologies of commercial relevance, some of which are presented in the talk. Renate Müllers research group covers important topics within flower physiology and reproduction biology of ornamental plants. Here, wide hybridization technique and tissue culture are essential approaches to improve the breeders tool box. In the future, there will be a great demand for new varieties, as well as a need to develop new methods and technologies within plant breeding.